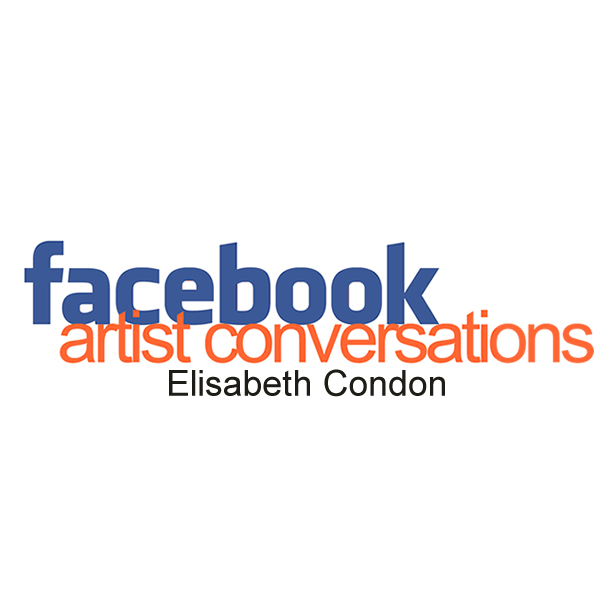 Since joining Facebook a few years ago, my primary interest has been networking with artists toward building community and learning what I can of the behind the scenes culture of the NY art world—as well as other major art centers throughout the world. Having lived in several major cities then finding myself back in a small Oklahoma town caring for aging parents has been difficult and isolative. I was invited into Facebook by the artist, Robert Delford Brown, http://en.wikipedia.org/wiki/Robert_Delford_Brown who became a personal friend after I met him through a search in 2006 of American performance artists. He was a wonderful and brilliant artist and man. I am looking forward to dialoging with artists and thinkers with the intention of offering them opportunities to share their thoughts on their work and relevant subjects while also hopefully learning about their lives and the culture of their respective art communities. In spite of rising art centers throughout the world, New York remains the axis mundi. In the past year I have maxed out the “5000 person Facebook limit” and the vast majority of my “facebook friends” are working professional artists. When I first laid eyes on Autumn Trees, Yaddo, I was lovestruck. I found the painting to be warm and fresh and inviting without facile pandering. The depicted landscape seemed linked to the field of contemporary painting I've come to experience as perhaps a most most relevant conversation. I might say that this strange and lucid dialog speaks to a newer sort of landscape, one that feels loaded with narrative clues. This new genre of abstracted landscape is pressed into perhaps the foremost conversation of our time: what Wendell Berry once called, “The Great Work,” that of saving the world. Embracing the ecological crises we face with a conscious intention of responsive intercession is the task at hand, as gravely inadequate as we may be. While this linkage is perhaps my own, in getting to know Elisabeth Condon, Over and over, I've been aware of her intelligence and vibrancy as well as a roshi-like sensitivity to Nature. The stylized outlining of the leaves and the geometricized lawns in the mid-ground as well as invented spacial forms conjure elements of some of Doig's and Richie's work—without feeling derivative. There are also a number of references to other painters of similar persuasion, other "light touch" painters many of whom are personal friends of Condon's, Wendy White and Charles Burchfield to name two. The watercolor approach to the foreground also struck me as somewhat new. What has confounded me again and again in embracing Condon's work is her ability to juxtapose a formidable arsenal of painting techniques in visceral and intuitive ways that allows for repeatedly uncanny aggregates and interfaces. Collages of ideas and techniques coalesce without strain or self-consciousness. Somehow this panoply gives rise to our shared experience of the complexity of our time. If one were to assume she clings to simple formulaic solutions, one would be wrong. Condon approaches each new work with a fiery commitment to authenticity that charges her paintings and drawings with a presence that gives pause and requests one's full and reverent devotion. Thank you for your words about the drawings; I'm really excited about them. I started making them in 2010. Initially they were tracings of photographs or reproductions of Chinese scrolls to opaque-project as a "found" mark in the paintings. But the process of marking the vellum surface was so pleasurable, and combining overt images so interesting in contract with the large-scale invented forms in my paintings, the drawings became their own body of work. My friend is bringing more felt-tip brush pens from Taiwan soon, I am very excited as they are the best to draw with. Jeff, do you see green as a color of rejuvenation? Is that what Jung meant? Your new print would beg the opposite--maybe black, or indigo like the sky? I've got to go paint--there is a lot of noise in here right now...looking forward to more and will write more fully when quieter. So you're living and teaching in Florida? Yes. I also have a place in Brooklyn. I've paid rent / lived in New York since 1992. But have been commuting back and forth to Florida, where I teach at the University of South Florida, for eight years. Sometimes I am in New York full-time, other times not so much. This is one of those times because of the show. The print I mean is "In Light at the Speed of Sound." It reminds me of a film I just saw, Lars von Trier's Melancholia, in which strange scale changes and unlikely events become visually disorienting. Modulation is a skill I also need to develop; Because I've been teaching I've had to entertain the mental flip back and forth between painting and other concerns. It's a little bit of a binge pattern, I'll paint in deeply concentrated and time consuming chunks, cave-like, all weekend and then meet teaching in the same way. It's intense, but the two activities inform each other in interesting ways. But unlimited time is what I crave to hunker down into the realm of color and material, losing the windup of other concerns. Or the sense of unlimited time--and this is where modulation comes in. Someone explained it as focusing on the big picture then zooming in closeup on the next step to take. When I think about it in the flowing movement of a camera lens, it seems do-able. But today it took hours to settle in to a good, long painting session. Which, finally, I've had. I love Chinese painting for its offer of rotation, alternity, and balance. But more naturally I think in binaries. I'm working on it. Green is the heart chakra but I didn't think of it earlier. Interesting, today was mostly yellow, some orange and a black made of violet oxide and pthalo green. It's very strange to think of the color in terms of chakras, reflecting on it this way. Jeff--reflecting, as I prepare to leave the studio and ride my bike home: modulation is what my work is about, really. The transitions between spaces condensed within the framework of a painting. It's the ongoing issue. I'm not sure if life really is faster than it ever was because of technology, etc. but it seems like it, feels like it--so even more challenging. When a composition sets up just right, it flows, it's possible. Not as easy to forge it. Each painting meets its own challenge with this. It started with allowing myself to do whatever I wanted to do, following the modulations of consciousness and see where it went. The notion of asingular mode of investigation felt so alien to the experience of constant transitions (NY-FL, travel abroad, information flow, politics and bureaucracy). Transitions take a long time and I'd like to become smoother, more graceful in making them. In the paintings I don't mind if they are sudden, but they need to flow. They haven't always, but I am beginning to feel some balance in the work. More later, what a lovely topic to think about. Thanks. One of my first impressions that stopped me in my tracks recently was the one I had upon encountering "Autumn Trees, Yaddo" (2010). I immediately thought of some of Doig's earlier paintings. There's something utterly original about this painting yet it does feel embedded in some of the painting of our day. Tell me about this painting? Some have used the word "oneiric" in reference to Doig's paintings implying their cinematic dreaminess. Are these concepts that you feel comfortable with in terms of your own work? Elisabeth, I keep going back to your images and continue to relish my experience of them. I wish so strongly that I could transport myself into a physical space with one of these. There is a characteristic lightness. Often I notice and almost watercolor like translucency. The paintings feel neither trite and easy nor labored over. Another painter who has come up over and over as I ponder your paintings is Matthew Ritchie. Any thoughts here? Often I notice an almost watercolor-like translucency. It's thrilling to hear the watercolor relationship to the work described. I certainly knew Ritchie's work and appreciated it mightily in his 2002 show at Andrea Rosen and later, to a lesser degree, in the Whitney's Remote Viewing show. I love his lightness, relationship to drawing, and working methods. I didnt' feel close to it though--I'd always considered myself more naturally attracted to dense painters like Steve di Beneditto, Jackie Saccoccio, Rosanna Bruno, Judith Linhares. The direct connection to watercolor didn't happen until Florida (2003). Paul Jenkins wrote in a 1950 diary entry, “Moisture is water and air…the quality of moisture is life, a thing which breathes has moisture. This is a felt quality in painting.” Florida's humid, subtropical environment furnished the reason. It took me back to Los Angeles, where I grew up in the1960s and '70s. The overlay of landscape led me to Chinese painting as a resource, where I recognized, dimly, a correspondence between my direct, blunt marks and Yuan Dynasty painting. Yet, the paint needed to coalesce and then disperse, like the space in Chinese landscape. In spring 2006 I co-taught a watercolor, Chinese and Indian idiom course, and the rudimentary language of watercolor (color bars, wet on wet) provided the impetus. The fluid media felt easy and wonderful, but I remained attached to the idea of constructing paintings. But ultimately the attachment just stopped working. Pouring created a new way to construct a composition--through contingency. It felt completely necessary. It was then I found Paul Jenkins and the French Informel. In 2006, I spent six weeks in Paris. The exhibition L'Envolee Lyrique was installed at the Le Petit Senat, further educating me in the tradition. I deeply appreciate Ritchie, Doig and more recent "light touch" painters: Wendy White, for one. (Why on earth is my mind going blank--next to painting, I just love talking about painting). I am sure they set the stage for the transition--simply by painting the way that they did. But it was the relationship to process that feels most connected to my own work...the move, the travel and the discoveries fundamental to a new environment. I first visited Yaddo in 2007 and it knocked me out with how gorgeous it was. I could barely wait to get back and paint those Norwegian pines again. The color, so cool--the shapes, so towering--and the undulating terrain of the environment--paths around lakes, hills, a long, curving drive up the hill--inspired me no end. In fall 2010 I vowed to paint my favorite view--it was autumn--and poured out pthalo colors that looked so dark, I thought the painting was wasted. Laid oil into the acrylic to get those trees. It was a tricky balance, did I want the forms to be volumes, images, or sequences in a space? All of the above; how to do it? And how to describe the feeling of leaves on ground without a boring explanation? the biggest breakthrough was the leaves, it just made so much sense to inflate their scale. The rest was literal, looking out the window, and then working from sense-memory.I want to paint a beautiful space where people would want to go inside and wander. Another inspiration is Monet, whom I have loved since childhood. His gardens, and his late paintings, are breathtaking in their potential for transformation from "nature" to a world in which all elements are ephemeral, in flux, yet all the more real for that. In this case, the landscape was changing quickly as autumn neared winter, and I wanted to, no, HAD to convey what this landscape felt like in relationship to its appearance in nature, as a space to return to again and again in a painting. So I think about it not exactly as oneiric, in the sense of a barely-remembered reverie, which is the way I usually experience dreams--but it shares the quality of becoming, or transforming with dreams. I want to induce the impossibility of possessing, yet the pleasure of longing through the visual presence of a painting. I felt it keenly in this painting and this seems to communicate. It's funny though, I talk about ephemerality but the experience was also very concrete, in that, how on earth was I going to find a way to portray each of these elements? In the last paragraph you wrote, "I want to induce the impossibility of possessing, yet the pleasure of longing through the visual presence of a painting." I love this. I think Joseph Campbell talked about the "aesthetic" as "that which inspires reverence. I suppose that this reverential state must first be achieved in the mind of the artist... On the heels of this and as I was "multitasking" which I have come to realize means fumbling through several things simultaneously with equal measures of mediocre focus... I found myself considering a conversation I was having recently with a fb friend in Denver who is doing some consulting work with me. He asked me, "What's motivating me to do great things?" So "inducing impossibilities of possession" while "offering the pleasure of longing through visual presence" seems like a high bar---a perhaps heroic impulse toward "greatness." Would you say this is true? -----So what motivates you to paint the very finest paintings you can? "I feel that the motivation to do great things arises from our actual inherent greatness. Most of us are too shrouded or shut down to really access these vast and powerful spaces...I guess (here's this guy again) Werner Erhard once spoke of the "death space" which some would equate with the place beyond the self where the uncanny occurs as being the place of greatness---and simultaneously a difficult and painful place...WHAT'S MOTIVATING ME TO DO GREAT THINGS? service...generosity is what LOVE is all about. The fabric of the Universe might be said to be love...Love is the ground of our being. To the extent that we are able to live in this space and to integrate these energies, we have the opportunity and the urgency to act...to act with great compassion, reverence and generosity." This is the place where real art develops...right? the work of other painters mentioned. Often painting is a learning curve or lead, but in the process of painting a transparency happens when moving beyond one's own parameters. This invites true weirdness to kick in and is what I live for as a painter: the moment of fusion, where painting and I are one--it, transparent conveyor of intention, I, its servant, when there is nothing else but to move through the painting and come out the other side of it. I suppose the process can be likened to an active meditation but to think of it that way would hamper me somehow. The key ingredient in that moment of dissolve is self-trust, like Picasso said. Allowing oneself to be revealed in one's humanity through form and material, and keeping it real and alive in painting makes for powerful work. The historical relationship adds texture and association, a continuum that is challenging to engage. When it is achieved, perception communicates, even across centuries, as we know from the artists who came before us. It may be love; it is indeed profound connection of life, the life force coursing through time. But this is lofty talk--the process of painting can be so plain, blowing my nose, listening to a song, swishing the brush until something interesting happens. I've just uploaded new paintings to my site. Trust is the antidote to doubt. Not to be pithy, but I see trust as direct action and doubt as reflection. I embrace doubt, but if I don't "act anyway" there's no balance to the doubt and it will take over. But trust is definitely the hardest practice, it is a practice, and it's generally in the times I break free in a painting (or in any activity) that I feel it. The rest of the time it's life, biting nails, executing tasks, etc. loosen the stiff doll forms into other kinds of shapes. Florida and Chinese painting were the elements that blasted this open into pure landscape. I started losing my defenses.In 1998 I did a bunch of collaborative work after my first show of doll paintings in 1998. I had not been able to separate from my work and missed the camaraderie of shared studio experience in the professional gallery world. The collaborative projects entailed starting a work on a gallery wall, making a card and inviting others to come in and complete it over a predetermined period of time. There was no visual language for it then like there is now--I felt kind of insane doing it. I assigned loose themes, like 'childhood' or 'place.' People regressed sometimes, dressed up, or got aggressive with buckets of art supplies. I teamed up with Adelheid Mers in Chicago and we did some together. Solo and with Adelheid, I did the collaborations in New York, London, Knoxville, Chicago, Sarasota. In preparing works on paper to initiate them, the pleasure of wet media loosened my mark and connected me to my roots as a material, abstract painter. Ultimately, after two years or so, I began to miss painting as my primary focus. Working with others didn't connect me to my own work in a deep and heartfelt way, as pleasurable as it was to engage with those projects. I'd continued to paint, but I wanted to put the emphasis back into it. I also identified the collaborations as a desire to teach. And in 2001, Adelheid and I had a big collaborative project in New York—it opened, in Soho, on 9/14/01. It brought a lot of people together under conditions of great urgency and was an excellent culmination to that period of my work, a segue to painting and teaching. When I found Chinese painting, and landscape, it was like slipping into my own skin.There are so many metaphoric and structural layers in Chinese painting, too-travel, simultaneity, the pleasure of quotidian life. It really resonated in a way that, well, I could trust! G. I. Gurdjieff used to talk about the 3rd force. 1st force is our exertion. 2nd is the entropic blow back. 3rd is the concerted effortful response whereby, through teacher, teaching and community we overcome the seeming stalemate. Your assessment: "I see trust as direct action and doubt as reflection." seems parallel. Rather brilliant observation Elisabeth. Just decided to search for some of your earlier work (doll paintings) and ran across, "Woke Up to Find it Missing, 2011" I fell instantly in love. (I'm a visual polygamist and have fallen for several of yours). YUMMMMYYY. I love this..."And, experiencing landscape (on a residency in the south of England, in the valley where I lived upstate, and weekly drives between Manhattan, upstate NY and Bennington), with all of its curves and flowing shapes, began to loosen the stiff doll forms into other kinds of shapes. Florida and Chinese painting were the elements that blasted this open into pure landscape. I started losing my defenses." Gorgeous insights and compelling interpretation of the shift...I love your many references to place. I think this Zen-like sensitivity to all things present is what I see in your work...there's a subtle and unselfconscious specificity...even precision that isn't bogged down in calculation or rumination. Jeff, I am exulting in your comments about my work. It confirms for me the work is communicating the lift and spirit I want it to--the magic of a new space. Thank you. Visual polygamist--yes! I can't even stay in love with one approach to painting in the same canvas! It's a good time in history for the visual polygamist.